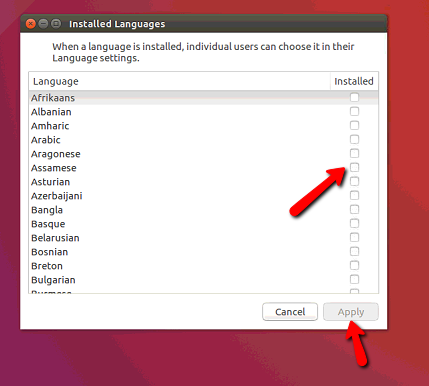 During the installation, Ubuntu prompts you to select the default system language. However, if during the installation you mistakenly, or specifically indicated the wrong language, and now want to change it, then it is very simple. 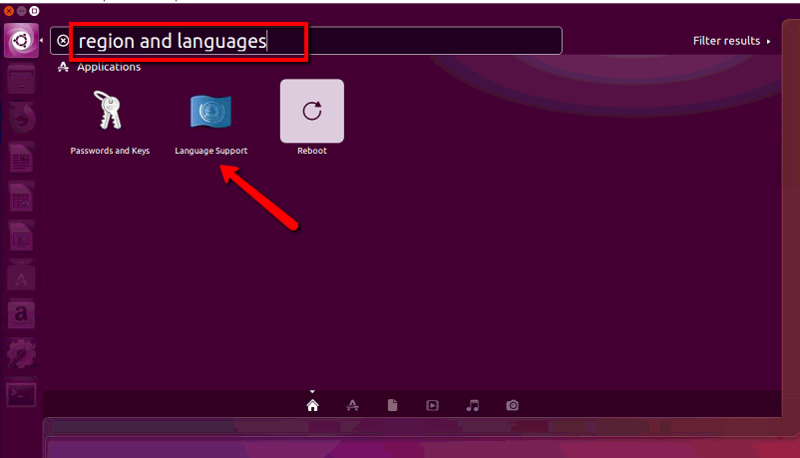 In this article, we will show you how to change the system language in Ubuntu. The system language is the language in which all the labels in your operating system are displayed, menus, prompts, settings, and so on. But it is not the input language that is used to type text. 1. Open “Activities” and type “Region & Languages”. 3. Then click the “Language” tab and under “Language for menus and windows” you will see all the languages already installed in the system. 4. If the preferred language is already installed, simply drag it with the mouse to the top of the list and then click “Close”. After that, your system will be translated into another language instantly. 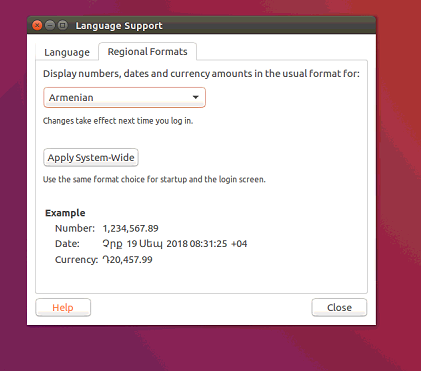 If the preferred language is not listed, click the button “install/remove languages” and select the preferred language(s) from the list and press “Apply”. After installation, you will see the newly added language in the list, then the actions are similar, drag it to the top of the list to activate. In order for the changes to take effect, you must restart the PC. The described method will change only the system interface language, but not the input method. If you set, for example, Chinese, and try typing letters, then still the English characters will be typed. 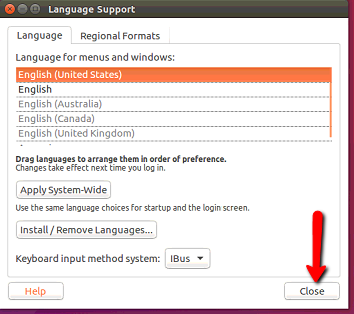 To switch the Ubuntu language, click on the keyboard icon in the system tray and select the preferred language. Numbers, dates and currency format will remain unchanged even if the system language is changed. To change the number format, switch to the tab «Regional formats» and select the preferred option from the list, and then click Close. Done. 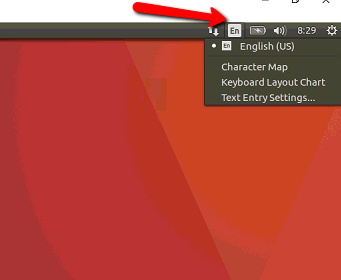 Now you know how to change the language in Ubuntu, it’s really very simple. So if you chose the wrong language at the beginning of the installation of the system, then it’s very simple to fix it without reinstalling anything.